Eight years after arriving in the United States, Mexican journalist Emilio Gutiérrez Soto finally got to tell his story to a judge who will decide whether he will be granted asylum in the U.S. It has been almost a decade spent in a legal limbo, with numerous summonses and postponements. Years separated from family and friends. Days spent gardening and cooking for strangers in an adopted home. His son, who was just 15 when they arrived, is now 23. Emilio is 53. On Nov. 14, Gutiérrez travelled from New Mexico to El Paso, Texas for his merit hearing on his asylum claim. In a few weeks, he will hear the judge’s decision. 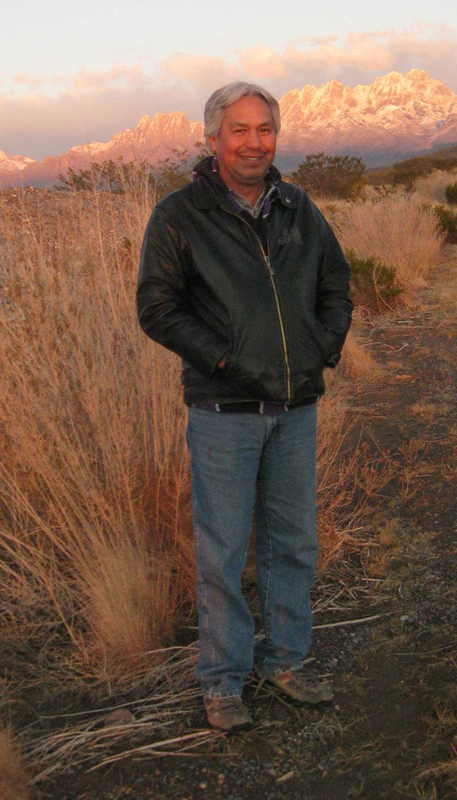 Gutiérrez, a former reporter at El Diario del Noroeste in the state of Chihuahua, fled Mexico in 2008 after several years of threats. Publications like Mother Jones and The New York Times have told his story and the events leading to his decision to leave his country. Starting in 2006, the Mexican Army’s influence expanded across the country when then-President Felipe Calderón began enlisting the military to take on drug cartels. Gutiérrez had reported on alleged civilian abuses by military members, which caught the attention of some officers. Despite trying to rectify the situation, he said threats continued and his home was raided, Mother Jones reported. The last straw was when someone told him that the military was planning to kill him. After quickly fleeing the country, he crossed the border and turned himself in to U.S. authorities, hoping for asylum. He was sent to a detention center where he spent more than seven months. His son was held separately for a shorter period of time. He previously told the Knight Center that during his first hearing in January 2011, the prosecutor “rejected much of the evidence” presented. He insisted that he came to the U.S. to save the lives of his son and himself, not for papers. In Mexico, the situation for journalists has gravely deteriorated. Reporters Without Borders said Mexico is “the western hemisphere’s deadliest country for the media.” Eleven journalists have been killed this year, and another was run over by a police car. Impunity in crimes against journalists is par for the course, making the situation for independent reporters even worse. Seeing these things happening to journalists working and living in Mexico is very painful for Gutiérrez. “Each colleague who dies, each colleague who is disappeared, is a reflection of what I could have experienced. My disappearance, my murder, is something that I could have experienced. It hurts me a lot,” Gutiérrez recently told the Knight Center before his Nov. 14 hearing. He said he feels pain for the families of his colleagues who were killed for doing a job. His life in the U.S. has been “extremely difficult,” he said. “I really like to garden, but I did it at home. I did it with a lot of love at my home. I never thought that I would have to garden for other people in the United States,” Gutiérrez explained. “I really like to cook. I never thought that I would have to cook in the United States to survive. I never thought I would have a bad state of health and I have it here. I never thought I would be a stranger somewhere, and here I am a stranger." He misses his work as a journalist, something he started around the age of 18. His decision to come to the U.S., he explained, is lamentable. He noted that the U.S. has a history of speaking about defense of human rights, but Mexico appears to be an exception despite its physical proximity and shared interests. Mexico also brings the U.S. cheap labor, culture and problems the country has not been able to solve because of corruption and it has to do with politics the U.S. has in that country, Gutiérrez said. “Meaning, the corruption that exists in Mexico has much, much, much background in what the United States determines,” he explained. People can be granted asylum in the U.S. because “they have suffered persecution or fear that they will suffer persecution due to” any of the following: race, religion, nationality, membership in a particular social group or political opinion. Linda Rivas, executive director at Las Americas Immigrant Advocacy Center and Gutiérrez’s lawyer, previously told the Knight Center she only knows of one journalist from Mexico that has been successfully granted asylum in El Paso. With regard to all asylum cases, not just those affecting journalists, judges in El Paso have some of the lowest “grant rates” – the percent of cases in which the request for asylum was approved – in the country. Of the three judges at the El Paso court, the approval rates for Fiscal Years 2009 to 2014 are 1 percent, 4.1 percent and 7.7 percent, according to TRAC Immigration. Getting a date for a hearing is a feat in itself. As of Sept. 2016, there was a backlog of 516,031 pending cases in U.S. immigration courts. Texas, just behind California, has the second highest number of pending cases with 91,865, according to TRAC. Gutiérrez said that Mexicans will continue to come to the U.S. for political asylum because it is the only option for survival. La Alianza is a New Mexico-based group of about 10 to 15 members that was formed in 2011 to support Gutiérrez. In August, they started a crowdfunding campaign to raise money to help the journalist with his hearing and his food truck business. To date, they have raised US $7,300. Gutiérrez said the group has helped his family unconditionally and with solidarity. As for his hearing, Gutiérrez said he is prepared for both outcomes, but he is optimistic for a positive result, especially considering the dangerous situation for journalists in Mexico currently. He has confidence in his case. “I have always had hope,” he said.